** Valid for selected departure dates between 29 SEP 2018 – 15 DEC 2019. On the Go selling as advertised. 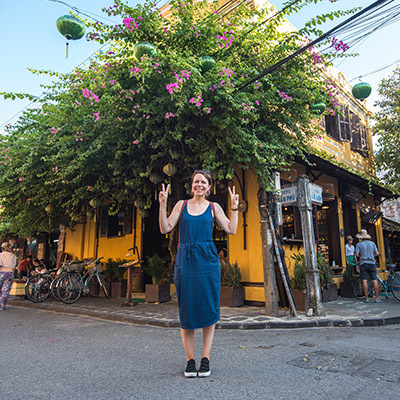 Journey south through Vietnam on this budget-friendly adventure starting in bustling Hanoi, visiting beautiful Cat Ba island in Halong Bay, charming Hoi An, Hue and the beaches of Mui Ne, before ending in vibrant Ho Chi Minh City. Today marks the start of your Vietnam adventure! Make your own way to the start hotel in Hanoi. There is a welcome meeting and drinks in the hotel lobby at 4pm to meet your guide and fellow travellers. 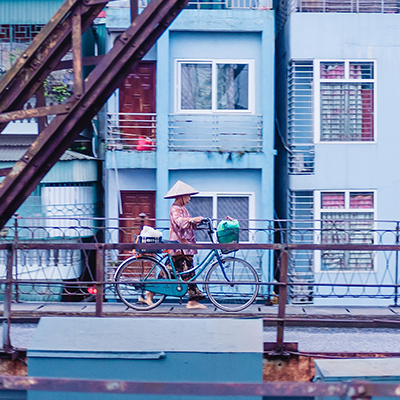 The rest of the day is free to spend at your leisure exploring Vietnam's charming capital. Please note: If you would like more time to take in the sights of Hanoi, we can book pre tour accommodation upon request. 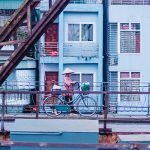 Hanoi – Cat Ba Island. 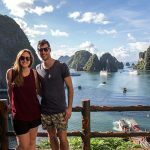 This morning we journey to Cat Ba Island in Halong Bay and enjoy a cruise to the Beo floating village and pristine Lan Ha Bay, the sister bay of Halong. Surrounded by emerald waters and limestone rock formations, we enjoy lunch onboard before sailing back to Cat Ba. This afternoon there's the option to kayak around the island's beautiful lagoons or enjoy a 10km bike ride through the jungle to visit Cat Ba's most remote village. Returning to our hotel later in the afternoon, the rest of the day is free for you to either relax on the beach, enjoy a few drinks at the bar or visit Canon Fort to enjoy a breathtaking sunset over the archipelago. Please note: from May-August our visit to Cat Ba Island and Lan Ha Bay day cruise will be replaced with an overnight Halong Bay junk boat cruise. Please read the trip notes for further information. Cat Ba – Hue. Today either enjoy a free morning at your leisure or early birds can take our optional excursion to Cat Ba fish market and climb one of Cat Ba's peaks for truly breathtaking views over the national park. Returning to our hotel to freshen up, we then drive to Hanoi train station to catch our overnight train (simple 4 berth cabins) to Hue. Please note: from May-August our visit to Cat Ba Island will be replaced with an overnight Halong Bay cruise. Please read the trip notes for further information. Today we enjoy a tour of Hue’s biggest highlight, the Imperial Citadel, before exploring the village of the Mandarins on the banks of the Perfume River. Here we get the chance to meet the locals and enjoy lunch in one of their homes. This afternoon we journey to our hotel and enjoy some free time to relax. Perhaps visit the imperial tombs and the Thien Mu Pagoda or take a taxi to the unknown beach of Thuan An (10km away). Alternatively, choose one of our optional excursions either cycling through less-visited rural Hue or watching the sunset over the Chuon lagoon. Hue – Hoi An. Today we travel by public tourist bus (modern coach with air conditioning) to the charming port town of Hoi An. Here we have an orientation walking tour, visiting the town's wonderfully preserved colonial houses and the iconic Japanese Bridge. The rest of the day is free to spend at your leisure. Hoi An – Mui Ne. 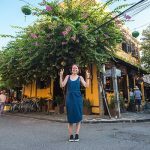 Enjoy a free day to explore all that Hoi An has to offer, perhaps doing some shopping, sampling the local street food or enjoying some downtime on the nearby beach. There are also two optional excursions available, either visiting a local farm to learn about traditional methods of farming, cook a Vietnamese lunch and enjoy a basket boat ride through the coco-palm forest, or a cycling and paddle adventure through Hoi An’s surrounding countryside. This evening we head to Da Nang railway station to get our overnight sleeper train (simple 4 berth cabins) to Mui Ne, one of Vietnam's most popular beach resorts. Arriving into Binh Thuan railway station around noon, we transfer to our hotel in Mui Ne, where we spend the rest of day 7 and day 8 at leisure. Mui Ne Beach in Phan Thiet is the perfect place to enjoy some rest and relaxation. Perhaps stroll along the glorious 21km stretch of golden sandy beach with its rolling sand dunes, soak up the sunshine and swim in the emerald water which is dotted with colourful fishing boats. Mui Ne – Ho Chi Minh City. Today we travel by public tourist bus to vibrant Ho Chi Minh City. 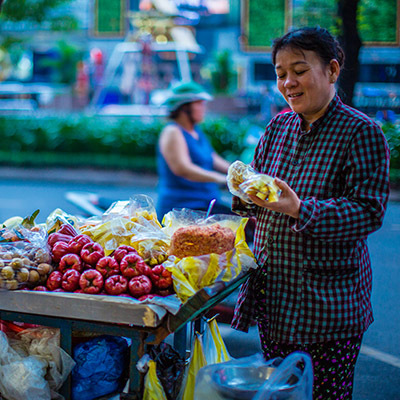 After hotel check-in, the rest of the day is free to either spend at your leisure or take our optional city tour in the afternoon which visits the lesser-known Tan Dinh market. Today is our final day in Ho Chi Minh City. If you have time before your flight, you may wish to join our optional morning excursion to the famous Cu Chi Tunnels, which played a vital part in the American War. Alternatively, if you would like to extend your time in Vietnam, we can arrange post-tour accommodation by request.